European Health Management Association - website-layouts Webseite! 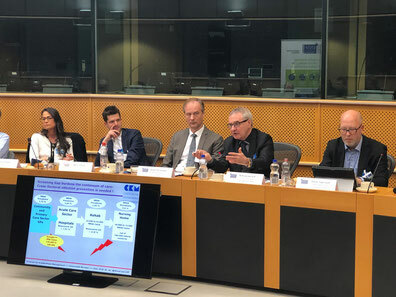 Special Interest Group "Best Practice Management in Health Care and Hospital Management: Search for Excellence"
This international special interest group (SIG) is chaired by Prof. Dr. Dr. Wilfried von Eiff and Prof. Dr. Sandra Buttigieg (University of Malta, Faculty of Medicine). 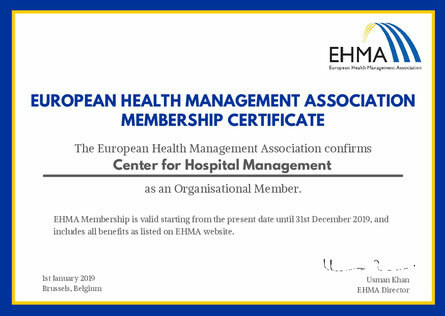 This SIG is an integrated part of the European Health Management Association (EHMA) Annual Conference. Best Practice Management is a powerful tool to leverage medical quality and patient outcome and to achieve cost containment simultaneously. 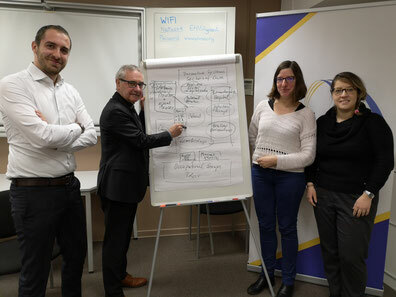 The Best Practice Management SIG will show how to identify best practices, especially from other industries and the participants will learn how to transfer those into leapfrog results fostering the own hospital to an outstanding position in the community, as well as in competition to other hospitals. Aims and benefits of BPM will be reached by the professional use of BPM tools and methods. The spirit and power of generic benchmarking will be emphasized by comparing best-in-class solutions from other industries and different countries. For further information please check the EHMA homepage. The European Health Management Association (EHMA) will be holding its Annual Conference (www.ehma2019.org ) in Espoo, Finland from 17 – 19 June 2019 on the theme of ‘Health Management 2.0’ in collaboration with the Helsinki University Hospital (HUS) and the National Institute for Health and Welfare, Finland. The three days will give participants the opportunity to learn about the challenges, new skills, share ideas and acquire effective practices on health management. This will be an excellent opportunity to network as the conference will bring together educators, researchers, managers and health professionals from Europe and beyond. Different format sessions from abstract presentations and panel debates to “in conversation with an expert” and coaching sessions will provide you with insights, new ideas and knowledge that is needed in order to make the shift to 2.0 happen. The event will cover such areas as leadership, skills and competencies, innovation, planning within the six sub-themes on Systems & Organisational Governance, Sustainability, Digital Transformation, Personalization, Integration and Value-Based Healthcare. Do not miss a chance to submit your paper via the link here until February 17th, 2019.